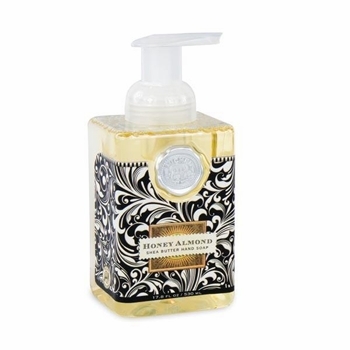 Hand Soap - "Honey Almond Foaming Hand Soap"
Home > Michel Design Works Hand Soap & Lotions – Bath and Body > Hand Soap - "Honey Almond Foaming Hand Soap"
Size: 17.8 fl. Oz. / 530 ml liquid.